The first cohort of Spider Firsts students — 115 strong — graduated in May. 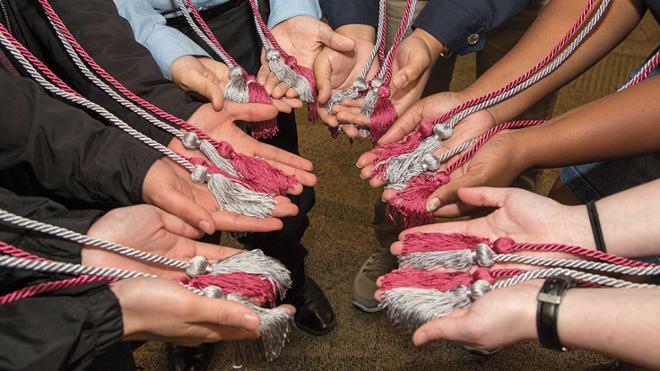 At one student’s suggestion, the university recognized them with a new honor cord at commencement. Tucked in all of the good news about this year’s incoming class — record applications, academic credentials even higher than last year, continued strong geographic and demographic diversity — was this modest data point about the Class of 2022: Fifteen percent are first-generation students. Twenty-five years ago, you could count the percentage of first-gen students at Richmond on your fingers, some years on one hand. The change is a sign of the continued success of deliberate programs and policies, among them a need-blind admissions process, a commitment to meet the full need of admitted students, and Richmond’s Promise to Virginia, which provides full aid to admitted Virginia students whose family income is less than $60,000. But admission is only one hurdle, says Lisa Miles, who heads up the Spider Firsts program, which is beginning its fifth year serving first-gen students. Spider Firsts connects first-gen students to each other. 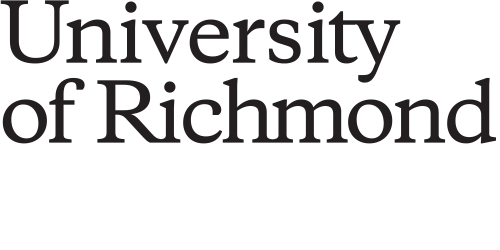 “You often hear about the first-generation student [needing help] adjusting to college and navigating through campus, but I was surprised by the issues [they face] all the way through,” she told the publication Education Dive, which in July highlighted Richmond’s efforts to support first-gen students. A key component of Spider Firsts is the way it connects first-gen students to each other, networking that helps lessen isolation and feelings of being out of place on campus. Miles also regularly invites faculty and staff who had the same experience to Spider Firsts events. Among the regular attendees are the dean of the School of Arts and Sciences and the university’s president, whose presence and personal stories signal that the university is committed at the highest levels to responding to the needs of first-generation students. The highest-ever average SAT score, 1364. An average SAT score exceeding 1300 for the seventh year in a row. 28 percent are U.S. students of color. 16 percent are Pell Grant recipients. 9 percent are international citizens.